Happy Thanksgiving! We have a bonus episode for you! What a JOY chatting with this young man who is already killing the acting game at the ripe old age of 11 years old!! He’s had roles on Underground, Cloak and Dagger and now @netflix’s All About the Washingtons…. which is where I met him and his family— at the LA premiere party in August. 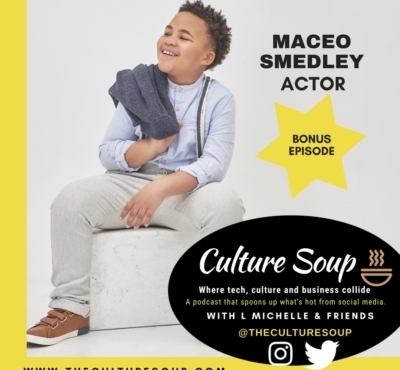 Maceo Smedley’s special episode airs on Thanksgiving Day. Check out the video on The Culture Soup’s homepage.